A night ritual begins. 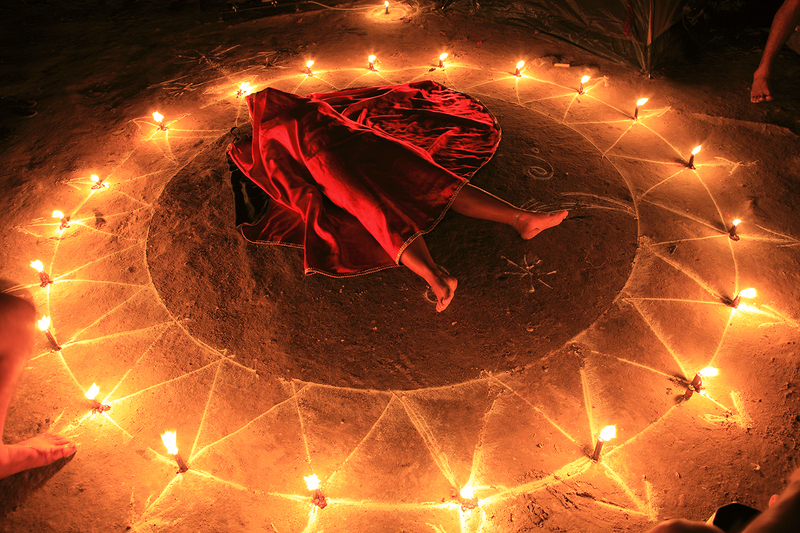 The participant is placed inside the oracle to induce a trance-state and covered in a red shroud, symbolizing the nature of the spirit to be invoked. The arrows point outward to the many directions the spirit must take on its difficult journey towards resurrection.